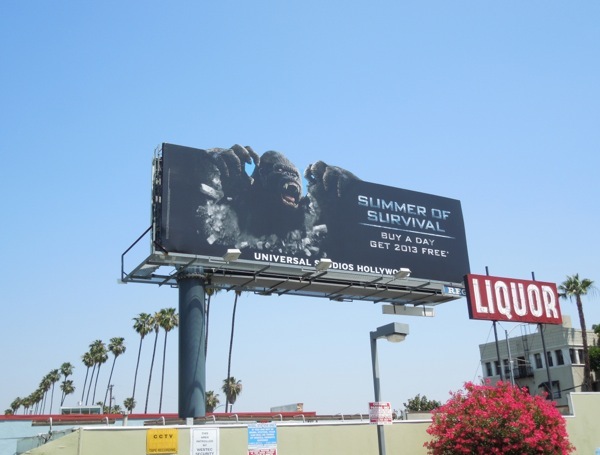 Every year Universal Studios Hollywood has the challenge of making its existing rides and attractions as interesting and compelling as possible to attract new and repeat visitors. 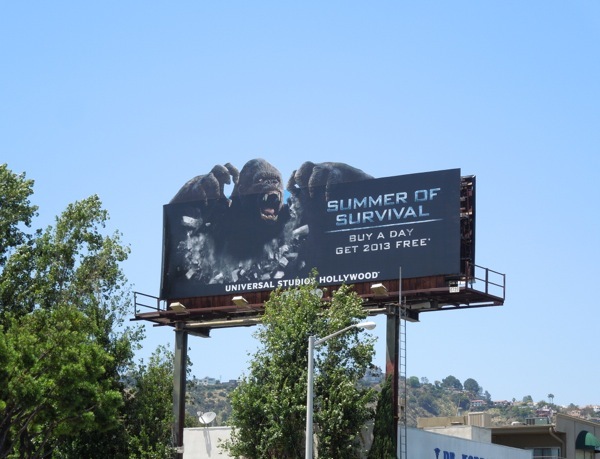 In Daily Billboard's humble opinion they do a good job of making rides like their Transformers 3D simulator and their King Kong 360 3D attraction exciting, with fun special extension billboards like these examples. 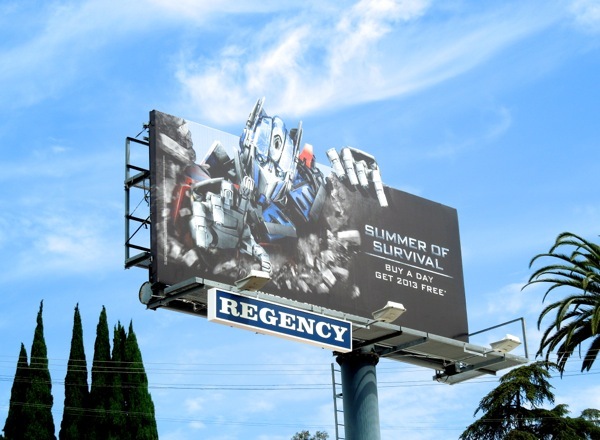 These eye-catching Summer of Survival billboard ads were snapped along Fairfax Avenue, Sunset Boulevard and Ventura Boulevard from June 8 to June 11, 2013. 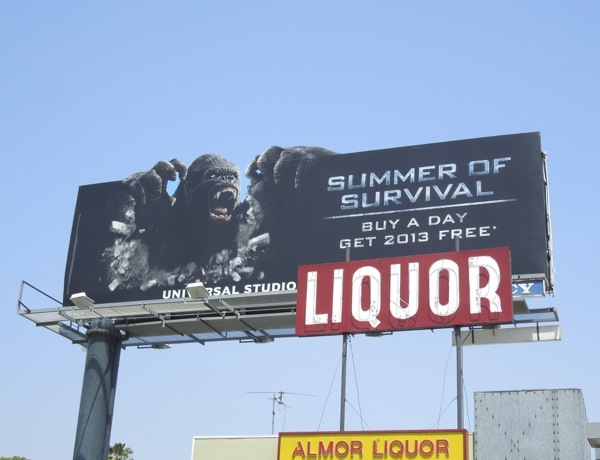 If you like these theme park ads, you absolutely have to check out the amazing special installation King Kong 3D mannequin billboards from 2011. 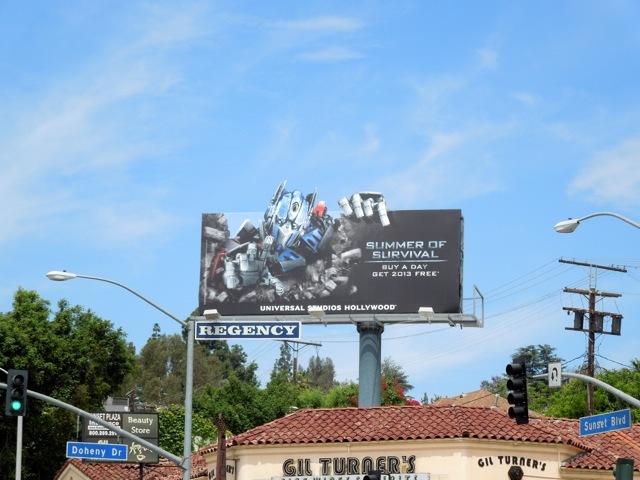 Plus take a look at the special billboards for the Transformers 3D ride which also stood out when the Universal Studios Hollywood attraction opened last year (Optimus Prime is a much more recognisable and heroic choice than Megatron). 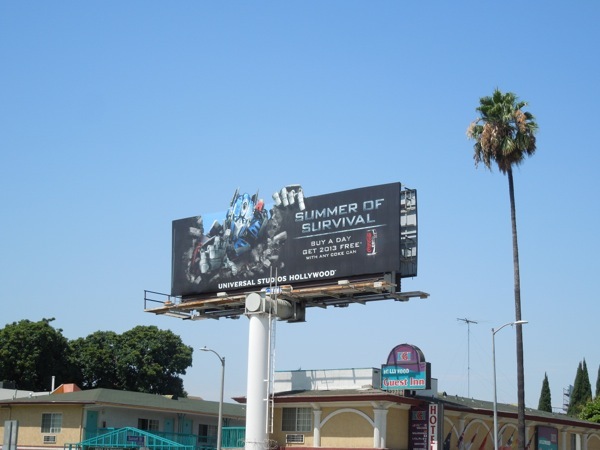 If you're a theme park fan, be sure to also check out these Disneyland billboards to see how another major tourist destination markets their park. 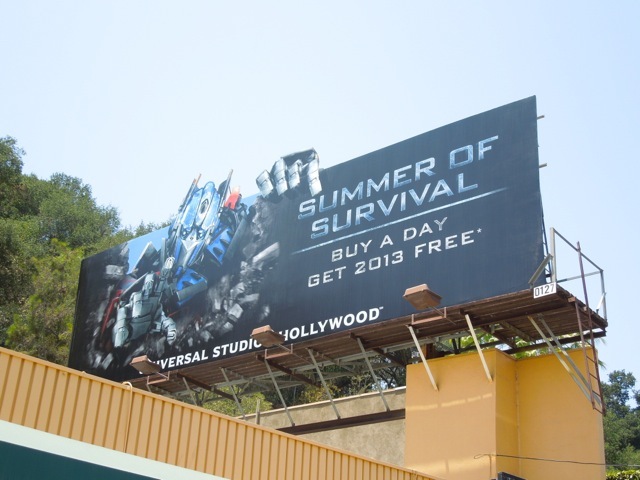 And remember, you can buy a day and you get the rest of the year free at Universal Studios Hollywood (that's assuming you survive the Summer). 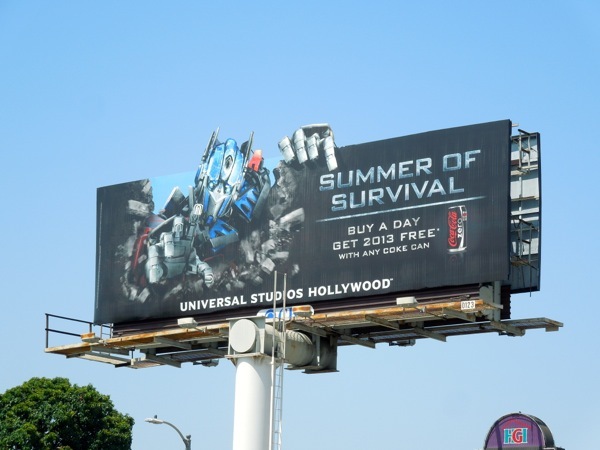 UPDATED: Here's another Optimus Prime version of the creative, this time incorporating a Coke can redemption promotion for the amusement park. 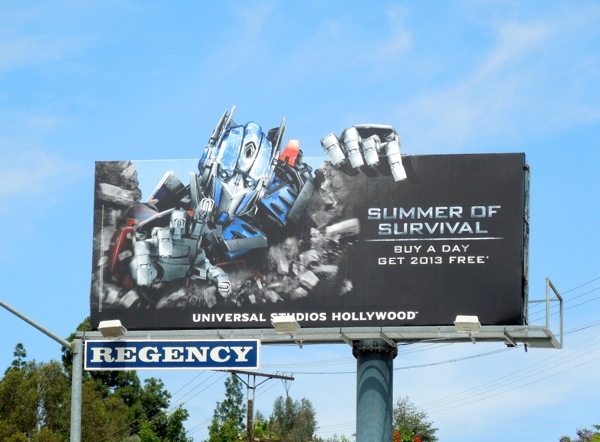 This Universal Studios special extension billboard was snapped along Sunset Boulevard in Hollywood on July 13, 2013.